Peter Mendelsund is the associate art director of Alfred A. Knopf Books, and a recovering classical pianist. He lives in Manhattan with his wife and two daughters. "He suffers from a surfeit of ideas. In the past decade, Mr. Mendelsund has designed about 600 book jackets, ranging from a sober, sophisticated cover for Tolstoy’s 'War and Peace' to his whimsical Pop Art-like treatment of Kafka’s novella 'Metamorphosis,' to the hypnotic fluorescent swirls on Stieg Larsson’s thriller 'The Girl With the Dragon Tattoo.'" 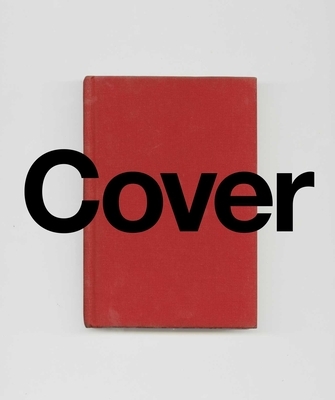 "'Cover' is foremost a visually enticing tour of some of the most important books of recent times, made even more memorable by Mendelsund’s daring covers. The beautifully designed volume is nicely paced with a mix of testimonials from authors whose book covers Mendelsund has designed, along with his own comments on various aspects of the design process." "Among book designers, Peter Mendelsund is the best reader of all. You always recognize one of his covers when you see it, and it’s not because he tends toward certain colors or typefaces—quite the opposite. Rather, it’s something about the way the cover illuminates the text. You can tell he didn’t just read the manuscript; he internalized it. The result somehow feels both inevitable and surprising: the only possible solution but one you could never dream up yourself." "'Cover' provides insight into the designer's process and pushes us to reconsider what we think we know about the graphic representation of words and ideas." “Once in a while I'm presented with covers that cross the barriers of cultural reference and visual language. That feel universal. That feel like perfect starts to stories. Covers that I don't want the reader to forget, but to carry with them throughout my books. Those covers are Peters Mendelsund's covers."